A bacterial consortium (Mix3) composed of microorganisms originating from different environments (soils and wastewater) was obtained after enrichment in the presence of a mixture of 16 hydrocarbons, gasoline, and diesel oil additives. After addition of the mixture, the development of the microbial composition of Mix3 was monitored at three different times (35, 113, and 222 days) using fingerprinting method and dominant bacterial species were identified. In parallel, 14 bacteria were isolated after 113 days and identified. 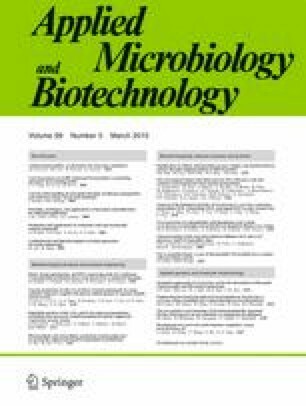 Degradation capacities for Mix3 and the isolated bacterial strains were characterized and compared. At day 113, we induced the expression of catabolic genes in Mix3 by adding the substrate mixture to resting cells and the metatranscriptome was analyzed. After addition of the substrate mixture, the relative abundance of Actinobacteria increased at day 222 while a shift between Rhodococcus and Mycobacterium was observed after 113 days. Mix3 was able to degrade 13 compounds completely, with partial degradation of isooctane and 2-ethylhexyl nitrate, but tert-butyl alcohol was not degraded. Rhodococcus wratislaviensis strain IFP 2016 isolated from Mix3 showed almost the same degradation capacities as Mix3: these results were not observed with the other isolated strains. Transcriptomic results revealed that Actinobacteria and in particular, Rhodococcus species, were major contributors in terms of total and catabolic gene transcripts while other species were involved in cyclohexane degradation. Not all the microorganisms identified at day 113 were active except R. wratislaviensis IFP 2016 that appeared to be a major player in the degradation activity observed in Mix3. The online version of this article (doi: 10.1007/s00253-014-6159-8) contains supplementary material, which is available to authorized users. Marc D. Auffret was partly supported by a CIFRE (Convention Industrielle de Formation par la Recherche) fellowship provided by ANRT (Association Nationale de la Recherche Technique) and by IFP. We thank Isabelle Durand and Françoise Le Roux for hydrocarbon analyses.